You can almost smell this grilled chicken. Remove a drummie and dig in. Drumsticks and wings are detachable. 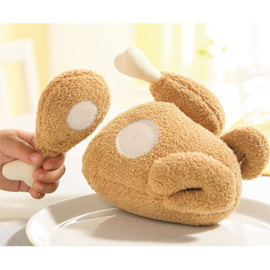 A big hit for your play dinner! Made from polyester. Measures 6" x 5.5" x 3.5".